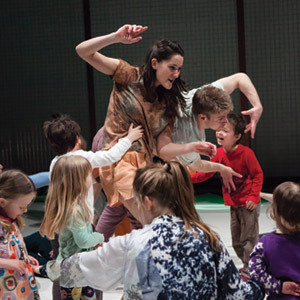 A unique playroom performance, Innocence invites 0-7 year olds (and their adults), to explore the world of William Blake’s imagination. Together with Scottish Dance Theatre’s captivating dancers, join us on a magical theatrical journey full of song, dance and play with live music by Paul Bradley. Innocence is a wonderful dance experience for young ones, their families and friends. "Positively perfect introduction to dance"
"Dazzling...an infectious sense of fun and excitement"